McLeod & Partners is a boutique Accounting Firm that specialises in corporate restructuring and insolvency services. With a team of highly experienced staff, the firm provides practical solutions to insolvency issues through a range of services that include: Voluntary Administrations (including Deeds of Company Arrangement), Liquidations, Members' Voluntary Liquidations, Creditors' Voluntary Liquidations, Court Liquidations, Provisional Liquidations, Receiverships, Restructuring Services, Bankruptcy and Personal Insolvencies. At Helm Advisory we understand that every company’s circumstances are different and we will ensure we obtain an in-depth understanding of the company’s circumstances to provide the most appropriate advice. Rob Naudi has a track record of achieving outstanding results for key stakeholders on his engagements covering large corporates through to small companies across multiple industries. 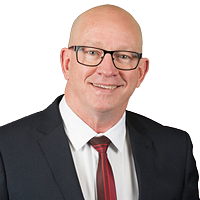 Rob has the enviable title of administering the first Personal Insolvency Agreement in Australia back in 2005 and he is sought after for a number of profile personal insolvency appointments including politicians, barristers and prominent business personalities. Dye & Co. Pty Ltd is an established company of trusted registered insolvency practitioners that offer effective solutions to both corporate and personal insolvency matters. We focus on providing our professional advice in straightforward language so you understand your options. Each matter is lead by one of our directors from start to finish so you get personalised and dedicated attention to your matter. Our emphasis is on delivering fast, timely and effective solutions for all stakeholders. J P Downey & Co is a small firm of chartered accountants specialising in insolvency and reconstruction services – “that is all we do, and we do it well.” The firm has gained a reputation for its honesty, integrity, and fairness. Having a relatively small number of highly experienced personnel, supported by the latest in technical resources, the firm is well placed to undertake even smaller engagements quickly and efficiently. Jamieson Louttit & Associates is a boutique advisory practice located in Sydney. Our practice is committed to assisting financially troubled companies and individuals who are potentially facing the prospect of insolvency or bankruptcy by providing leadership and practical solutions. Our experienced Sydney-based practitioners will ensure appropriate tailor-made strategies and solutions are implemented to assist you, your company and your clients. In all cases we will seek out the most practical solution to your complex business and financial issues. Insolvency Hotline Australia is a FREE service offering professional insolvency advice to you, your company and your clients experiencing financial problems. Debt can be caused by unforeseen events and the impact can be minimised by getting tailored expert advice as soon as the problems are identified. If you suspect your company is in financial difficulty, get proper accounting and legal advice as early as possible. We use our expertise to minimise personal and corporate loss, ensure assets are returned to the marketplace and provide a process to 'close the book' on what can be crippling debt. Sheahan Lock Partners (SPL) is a specialist, independent and multidisciplinary insolvency firm, focusing on forensic investigation and complex litigation, effecting recoveries for creditors and shareholders through the proper management of legal claims. SLP’s core value is provided by its unique experience and expertise in pursuing recoveries through hard fought commercial litigation in a complex insolvency environment. The team at Vince & Associates are Business Restructuring & Insolvency Accountant specialists with an approach that is practical and commercial to assist stakeholders achieve the best possible outcomes in often difficult situations. Head honchos, Mitchell Ball, Max Prentice and David Sampson founded BPS Recovery to bring an innovative approach to the troublesome world of corporate and personal insolvency. 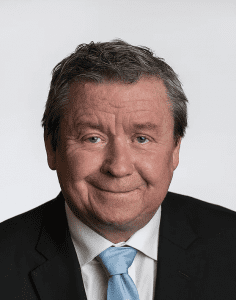 Philip Beazley has acted for clients in nearly every Court, State and Federal. He appears in matters in NSW, Victoria and Queensland, appears as advocate on many matters and instructs barristers to appear at hearings as necessary. Beazley Lawyers carries out a wide range of litigation including bankruptcy and insolvency work and instructs barristers who specialise in specific areas of law in order to achieve the best possible result for the client. Doyles' 2018 listing of leading NSW Insolvency & Reconstruction Junior Counsel detailed barristers practising in insolvency and reconstruction matters matters in the New South Wales legal market who have been identified by clients and peers for their expertise and abilities in these areas. Steven Golledge was just one of three rated preeminent in this complex and highly specialised field. Steven also practices in the areas of Administrative, Banking, Bankruptcy, Commercial, Contracts, Equity and Industrial/Employment, Insurance. Trusted experts in forensic accounting, recovery and insolvency, West Perth WA. Founded on the principle of service without distraction from corporate bureaucracy. Our boutique firm provides clients with what they need, not what they don't! Auxilium Partners strips away unnecessary expensive extras, focusing on work to directly support client interests. Established by two highly respected accounting and insolvency professionals, Auxilium Partners provides a personalised and pragmatic approach to insolvency, forensic investigations and corporate advisory services. 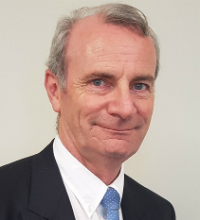 Geoffrey is a Barrister, with the background knowledge and experience from being a Chartered Accountant, Registered Liquidator for over 30 years and previously a trustee in bankruptcy, tax agent and company auditor. Insolvencynotices.com.au is brought to you by Insolvency Notices Pty Ltd and Jamieson Louttit & Associates. Jamieson Louttit & Associates is a boutique independent insolvency practice. Previous customers of the practice have included first and second tier financiers, private equity firms, property developers, large listed companies and small private companies. The firm specialises in providing practical corporate advice to companies and individuals in a range of situations whether it be companies who are experiencing financial difficulties and considering their options or large financiers or creditors who need to appoint an official liquidator or administrator. AMPAC Debt Recovery (AMPAC) is a fully licenced, Australian owned and operated debt recovery agency with offices in Sydney, Perth and Melbourne. AMPAC has a long history of assisting firms of all sizes, from small practices through to multi-national firms, with a range of debt recovery services designed to quickly and cost effectively recover unpaid debt, thereby maximising the return to creditors. AMPAC's suite of collection services is designed to engage debtors in the recovery process using structured workflows, high quality demand letters (including via email and SMS), and the latest voice recording and payment management technology. As the industry evolves we're committed to providing you with the best practice methods to help your business optimise its insolvency procedures. Choose CORE IPS and manage your insolvency cases efficiently and cost-effectively. Stay confident in the knowledge you'll always be one step ahead of compliance changes. At Condon Associates we are committed professionals dedicated to providing quality advice and guidance in the fields of Forensic Accounting, Insolvency, and Turnaround Management (F. I. T.). Our promise is to solve tight and complex situations in constructive, cost effective ways. We will ensure that you and your clients receive first class service with the objective of bringing a commercial solution to those in financial distress. Together with founder Schon Condon, the Senior Management Team of Condon Associates, we are extensively qualified and are members of professional associations. Our senior team holds over 140 years of cumulative experience and have held positions at the highest levels in both industry and government. Scout Corp specialises in property preparation, sale and realisation of assets for Insolvency Professionals, Mortgagees, Executors and Charities Australia-wide. We partner with our clients by providing tailored, specialist property services that handle the management of all aspects of the property realisation process. We are passionate about achieving maximum benefits for our clients through the end to end management of the property sales process. We work as an advocate for people who need independent support whilst navigating the property sales process. Our clients nationwide rely on our expertise skills and knowledge of the property realisation process, for all types of property, to assist them in achieving their goals. TRUSTED, EXPERIENCED AND PROFESSIONAL Menzies Advisory is a boutique firm based in South Melbourne, Brisbane and Southport specialising in all corporate insolvency appointments. Founder Michael Caspaney is a Registered Liquidator with more than 38 years commercial experience. His time in industry and commerce means he has a practical and pragmatic approach and his preferred lawyers are willing to investigate issues on a no win no fee basis, allowing for extensive opportunities for recoveries. Dissolve is an independent insolvency firm specialising in company liquidations. This specialisation allows us to bring to bear our experience and professional judgment to develop highly streamlined systems and a timely service with a very low overhead structure. Dissolve has been appointed to over 800 insolvency appointments since 2008.